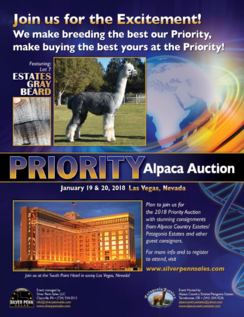 Come join us in Denver Colorado, where Alpaca Country Estates is a Ruby Sponsor of the 2019 AOA National Alpaca Show! 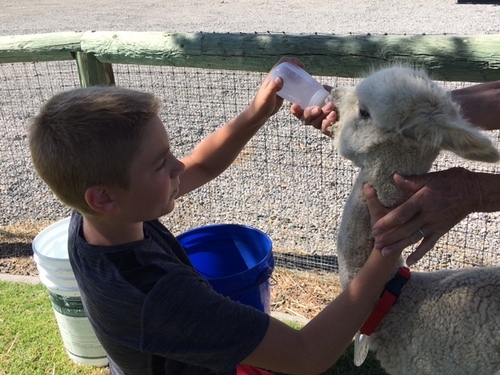 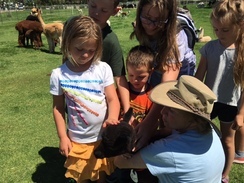 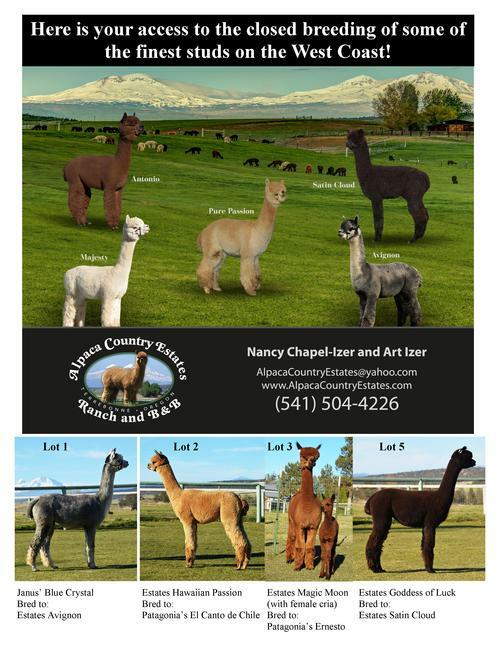 Friday & Saturday 8:00 a.m. – 5:00 p.m.
At the show, you will have a chance to get to know more about alpacas from North American breeders, as well as see the latest in alpaca fashion and get to see some of the hand-crafted items that can be created using their fleece. 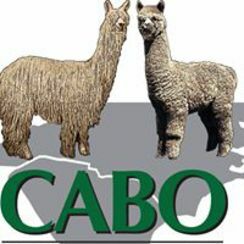 Alpaca Country Estates Ranch and B & B is a Sapphire Sponsor of the 2019 Carolina Alpaca Celebration! 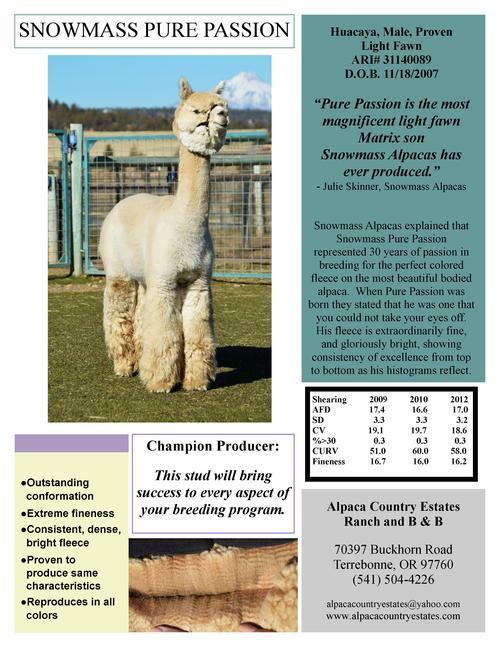 The Carolina Alpaca Celebration Show is a 2 day event being held from February 16 to 17th February 2019 at the Cabarrus Arena & Events Center in Concord, North Carolina. 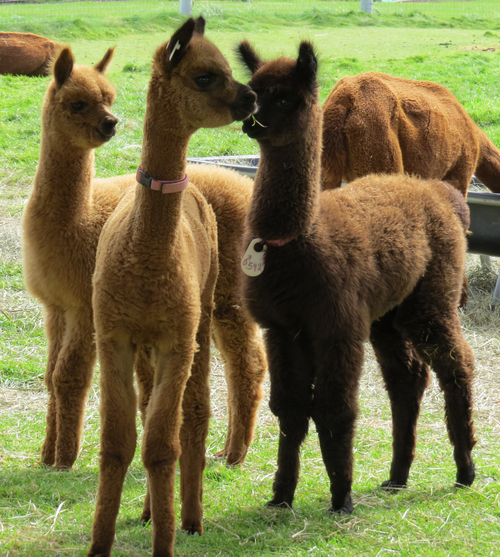 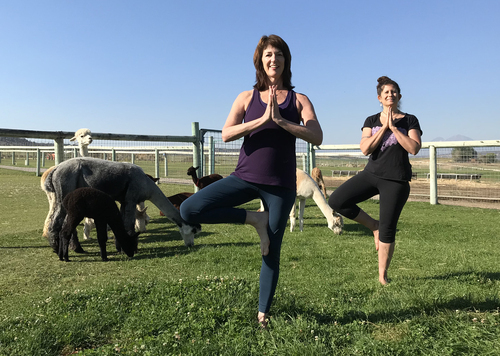 Alpaca Yoga Comes to the Ranch! 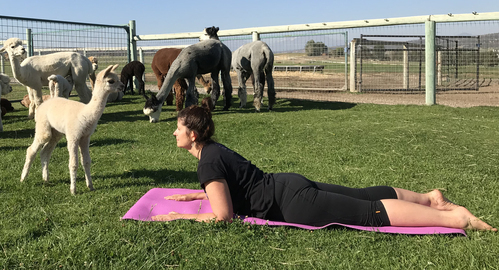 When: September 15th and 29th at 11:00a.m.-12:00p.m. 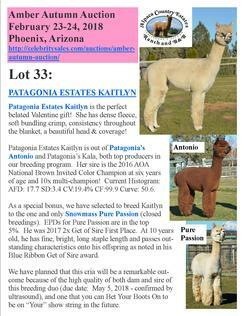 Patagonia Estates Kaitlyn is the perfect belated Valentine gift! 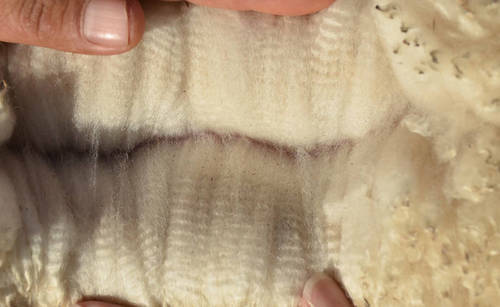 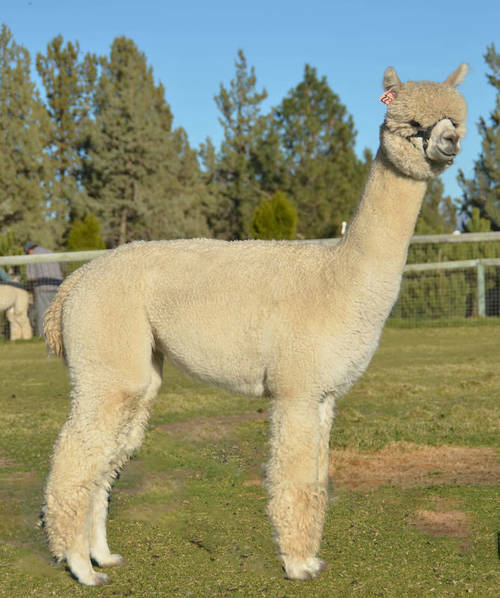 She has dense fleece, soft bundling crimp, consistency throughout the blanket, a beautiful head & coverage! 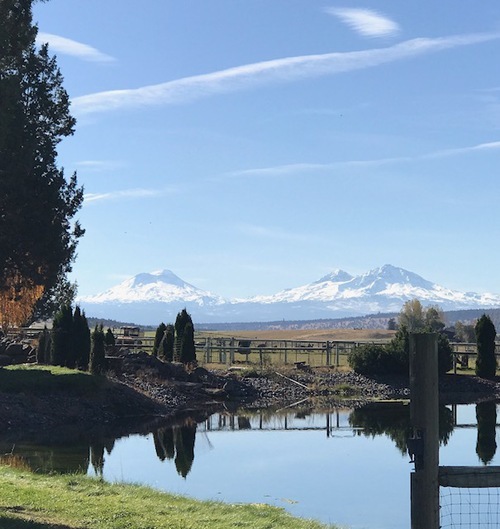 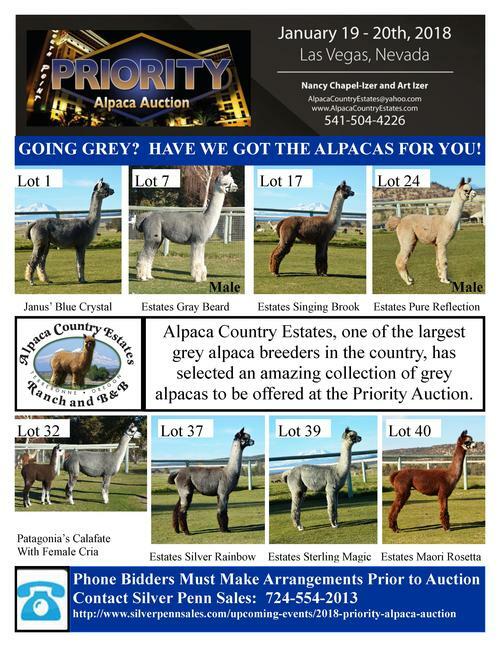 Alpaca Country Estates is Hosting the 2018 Priority Auction! 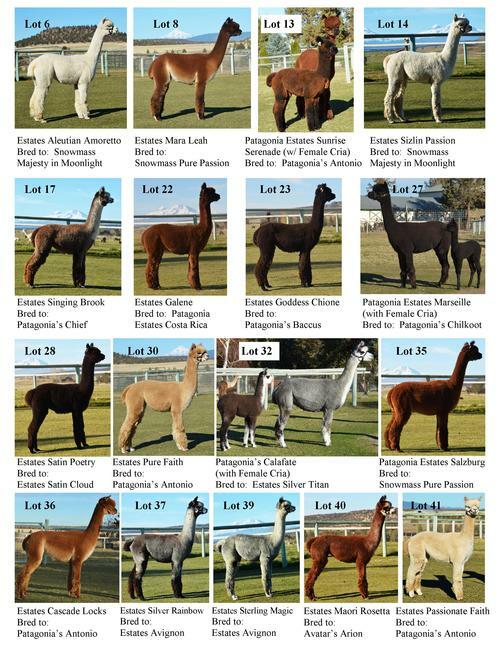 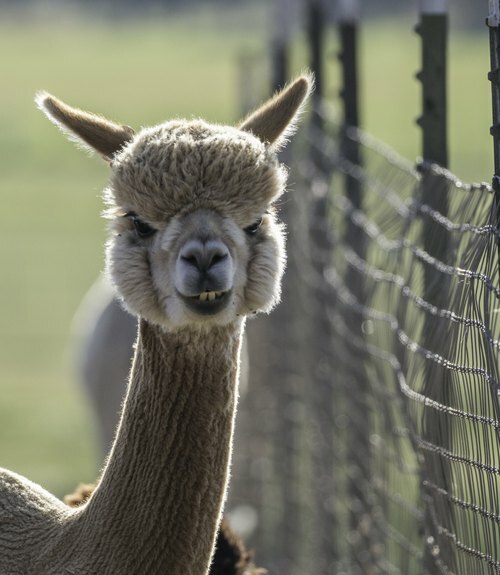 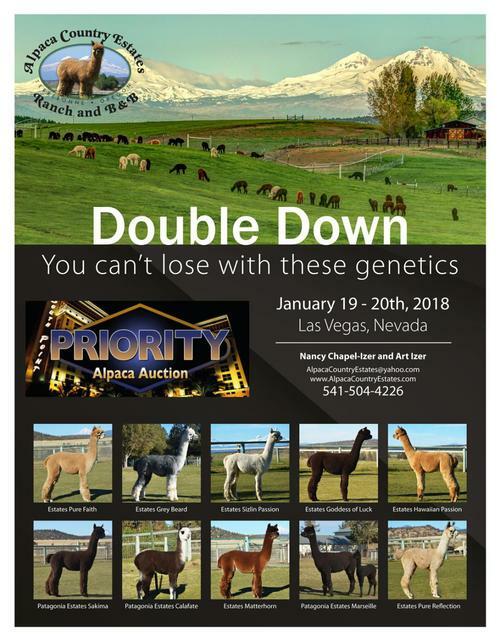 Alpaca Country Estates will be Hosting the 2018 Priority Alpaca Auction! Please join us in Las Vegas on January 19-20, 2018 for the the Priority Alpaca Auction!